Abstract: Airwheel focuses on the research and development of safe and user-friendly products, and cares about every single detail. Based on continuous technology innovation, Airwheel released another revolutionary product H3S power chair for those with limited mobility. So far, Airwheel has brought the public a variety of travel vehicles, ranging from the electric scooters to latest automatic visual following chair H3S which is a revolutionary foldable power chair designed to improve the lives of users globally. Its durable and lightweight frame allows users to be completely independent, and the chair can also be used both indoors and outdoors. Weighing only 33kg, the H3S is easy to fold, pickup, stow, and ready to go. Easily disassemble for easy transport and with its captain seat it is ideal for heavy riders. H3S can fold up automatically, by pushing one button on the joystick controller, a great convenience for users. 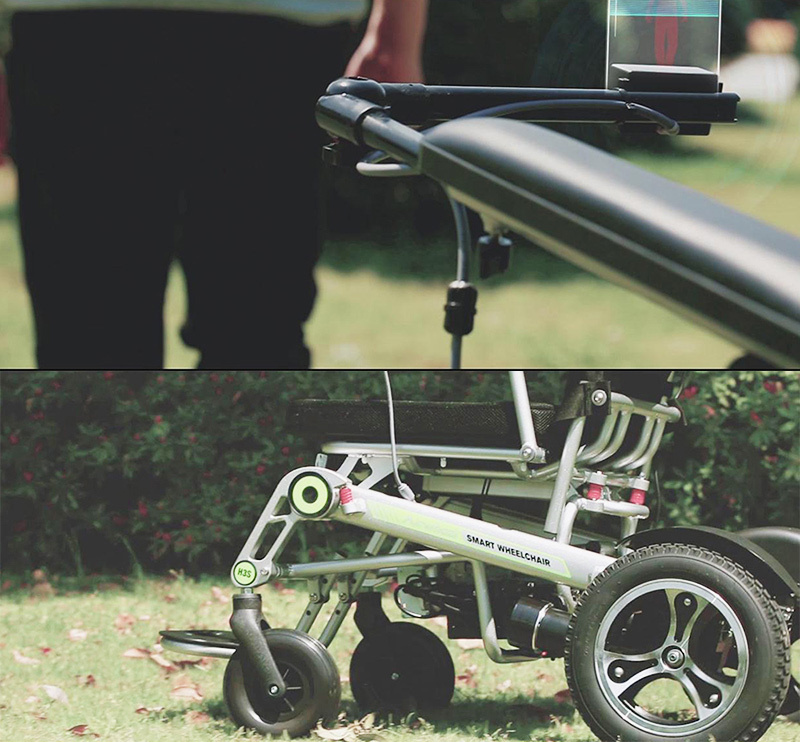 Airwheel H3S is specifically constructed and optimized for those with limited mobility. 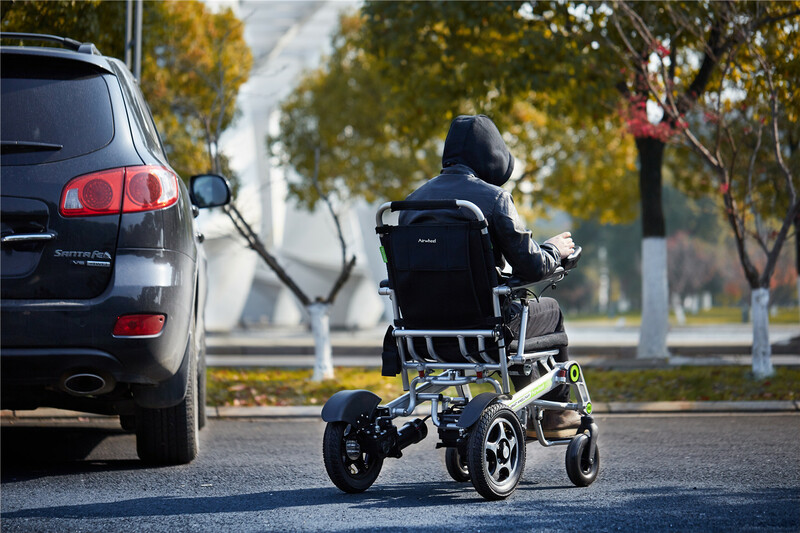 The H3S electric power wheelchair is surely a strong, endurable, and is a great choice in power mobility. The chair is manufactured from the best raw materials and components to showcase a truly lightweight and functional every day power wheelchair. It features a high quality, lightweight lithium Ion battery and detachable/adjustable armrest and joystick controller to adapt to different riders' habits. The pedals are not only anti-skid, but also adjustable, with three different heights to meet the needs of different users. More importantly, the auto-follow function makes H3S automatic visual following wheelchair be a notch above others. In addition to the dual ride modes-electric mode and manual mode, H3S can follow rider automatically, via the visual tracking and smart sensor. Whether you want to travel alone or with other' company, H3S will always be your ideal vehicle. After sitting a long time, you can get off and change to the auto-follow mode to have a casual walk. H3S is synonymous with international highly held quality standards, innovation, and practicality for users on a daily basis. In such beautiful season brimming over with vigour and vitality, it is a great enjoyment to ride Airwheel H3S folding electric wheelchair.